Ingredients for cocktail recipe making. 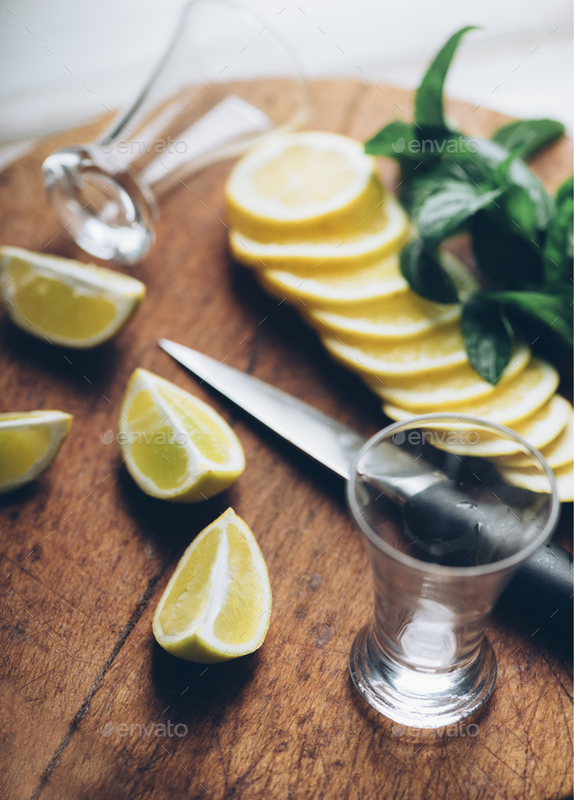 Shot glasses set, citrus and mint on wooden board. Retro filter.